During the ten sessions the Rolfer works on segments of the body separating the fascial layers that have adhered together and this affects the whole system through the fascial network. The first seven sessions work on specific areas of the body removing strain. The remaining sessions organise and align the body. Work is done on the surface layers of the body into the superficial fascia which lies beneath the surface of the skin. The first session addresses the freeing of the breath by working around the chest, rib cage and diaphragm. The second session works into the tissue of the foot and lower leg to address balance from the feet which creates a stable foundation. Session three works the tissue of the lateral side of the body building a relationship and awareness to the front /back balance of the body bringing a three dimensional awareness to the structure. These first three sessions prepare for working deeper into the core in the later sessions. These sessions focus on working into the deeper layers of the body. Sessions four through to seven work deeper into the body’s structures working with the deep investing fascia accessing the core structures. They address the body alignment and balance from the feet to the head. During these sessions the Rolfer will work deep into the tissue of the legs, abdomen, the back, the pelvis and lower back and also into the tissue of the head and neck. The final three sessions work with the goal of optimum alignment, coordination and balance of the whole body. During the last three sessions the Rolfer integrates the body by relating the segments so there is an improved relationship and connection, bringing a physical balance and vertical alignment throughout the body within the gravitational field. The Rolfing process can then come to a natural holistic closure so the client is able to take their new learning into everyday life. Each session builds on the results of the previous session and focuses on freeing restrictions or holdings trapped in a particular region of the body. This means that the results are cumulative. The Rolfing practitioner also maintains a holistic view of the client’s entire system during each session and this ensures that the transformational process evolves in a comfortable and harmonious way. 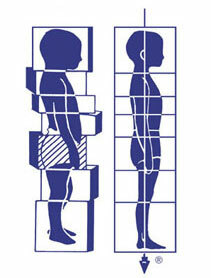 Rolfing Structural Integration 10-Series Overview.